This is an exterior view of Stage 2 at the SL7B Party. I will be DJ on stage 2 on Tuesday June 22nd, 2010 at 10 pm to Midnight (PST). If your a member of Second Life (“SL”) please take some time to explore the 20 plus sims for this years SL7B Party. This now the 7th annual Birthday Party of SL, sponsored by Linden Labs and put on by a multitude of volunteers who are members of SL. SL7B starts at 10 pm on Monday June 21, 2010 and goes to Sunday June 28, 2010 on the various forms of entertainment taking place. The sim builds will be open for the public to explore for a further week beyond the regular week of events. 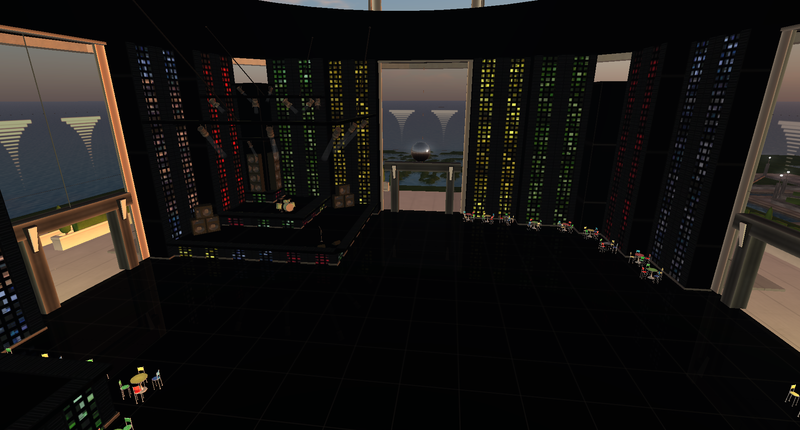 This entry was posted in Art, Second Life, Social Media, Virtual Reality. Bookmark the permalink.